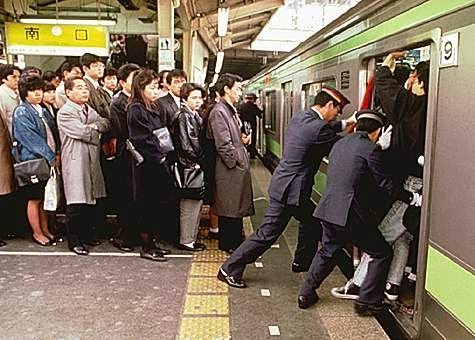 Tokyo has a reputation for being extremely difficult to get around. The traffic does snarl and lock up, there really are men with white gloves pushing people onto trains and the main airport is located 80kms from downtown. The key though to a more relaxed life is simple timing. The rush hour is very short-lived. The working day typically starts between 9~9.30 and everyone times their journeys for this. 7.30~9.00am is just a bad time to travel. But outside that the trains are no different to any other city, the white gloves are put away, the roads are clear and crossing Tokyo can be achieved in 30 minutes from one side to the other. Unfortunately the airport is still 80kms from downtown though.